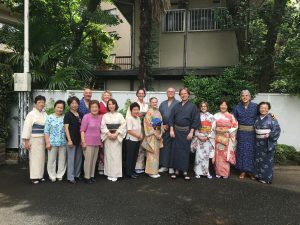 Hugh Stewart, member and friend of the Salem-Ota Club, is an ambassador in the Ota Ward in Tokyo, and was recently interviewed in the Ota Times. You can read the English version of the article below! The Salem-Ota Cultural Exchange is proud to announce that Connor Heenan is the recipient of this year’s $500 scholarship. His essay on what the exchange program has meant to him is published here in full. What a great year 2017 has been for the Salem Ota Cultural Exchange! Here are some of the developments and highlights. Increased financial support from the city including the creation of a city position: liason to the Salem-Ota Cultural Exchange. Deb Jackson is currently filling that role. She is the Director of Assessing for the City of Salem and was part of our Homestay program with her kids from 1995 to 2003. Her sons visited Japan in the Exchange in 2001 and 2003. Creation of a student liaison on the governing board. That role is currently being filled by Abigail Clark whose family has been part of the Homestay program since 2015. She traveled to Japan in the Exchange in the summer of 2016. 28 students and their teachers arrived from Ota the week of July 23-31 We are grateful to the host families who welcomed them into their homes and hearts and the many businesses that partnered with us; The House of the 7 Gables graciously welcomed the students learning about Salem; the Salem Witch Museum again provided the students with free tours in Japanese; the Knights of Columbus hosted our goodbye luncheon; and finally, we partnered with the PEM to host the Goodbye Party in their beautiful atrium which resonated with the exuberant and powerful Taiko drumming of Odaiko New England as host families, students and museum visitors participated in an Obon dance. A new highlight of the week was meeting with the Consulate-General of Japan in Boston. We continue to award a $500 scholarship to a student who participated in the Exchange with us. Sophie Parr was this year’s winner. She is a Salem High School graduate who is now at the Massachusetts College of Liberal Arts. 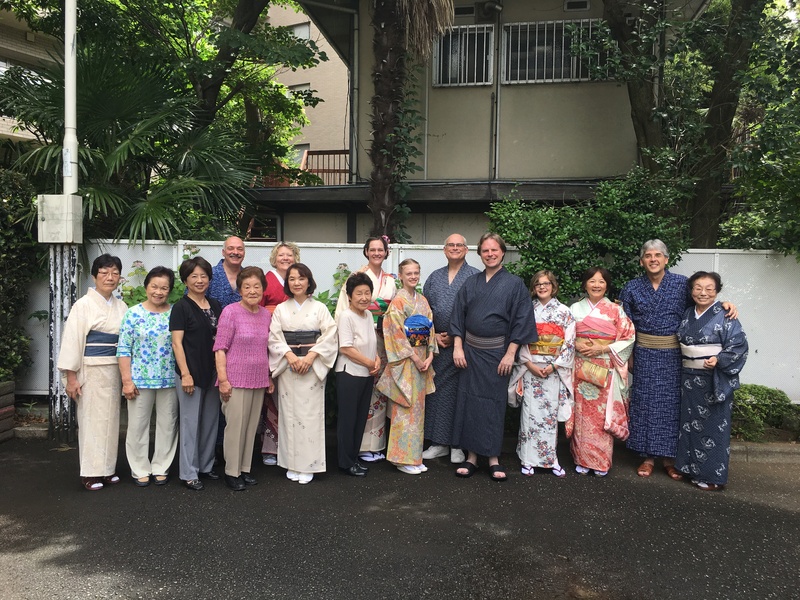 9 adults went on the summer adult trip to Japan which took place June 22- July 9. The City of Ota rolled out the red carpet for them and they enjoyed the programming at PEM’s sister-museum, The Ota Folk Museum other highlights were the wonderful presentations by the schoolchildren at Haneda Elementary and Kojiya Junior High schools. Students who went to Japan in 2016 taught origami to the children at the YMCA Summer Activities Fair. It will be a busy year! The Middle School students from Ota will be with us July 22-30. We are lining up host families now so if you and your family want to be a part of this exciting, immersive week please fill in the survey now! 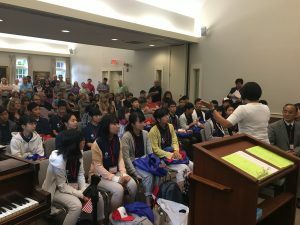 To complete the exchange, we are sending 11 high school students from Salem to Japan in August. We will host adults from Ota this Fall. We will be looking for adult hosts for 2 nights. Keep an eye out for those sign-ups in late spring. In addition, we will host Assemblymen from Ota in the fall. The 2018 scholarship application is now live and accepting applications. If you know seniors in high school who participated in the Exchange with us, please let them know! The deadline is May 4th. We are partnering with the Salem School Department and History Curriculum team leaders, with the help of the Peabody Essex Museum, to bring Dr. Edward Sylvester Morse and his achievements into Salem schools’ curriculum. The irrepressible Dr. Morse was a Director at the Essex Institute, now the Peabody Essex Museum and the catalyst of the work we continue today. A committee has now formed to support this endeavor. Please join us if you are interested! 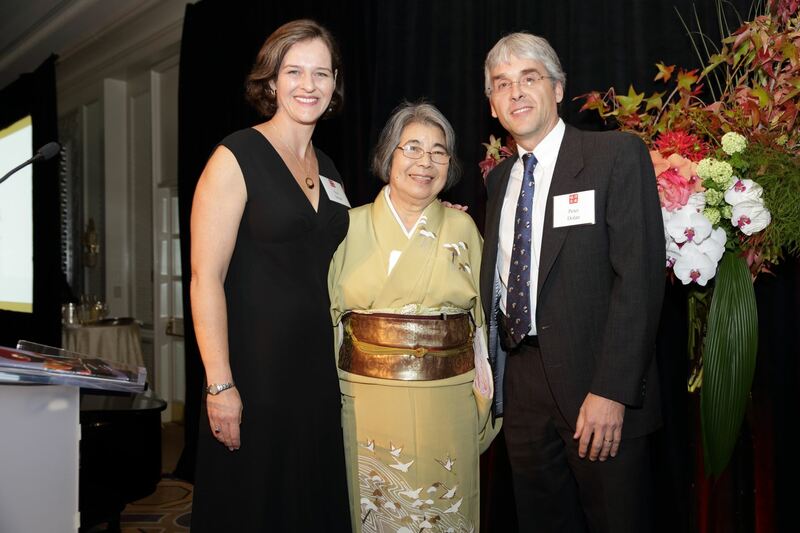 We are delighted to announce that in October, 2016, the Salem-Ota Cultural Exchange was awarded theJohn E. Thayer, III Award for Outstanding Contributions to Cultural Exchange between the United States and Japan given by The Japan society of Boston. This prestigious award represents the incredible partnership and the cross-cultural understanding between the people of Ōta City, Tokyo, Japan and Salem, Massachusetts. We have been exchanging school-aged children and adults continuously for 25 years while creating rewarding and lasting friendships. On behalf of the Board, Members, and exchange students of The Salem-Ota Cultural Exchange, I welcome you to our website. 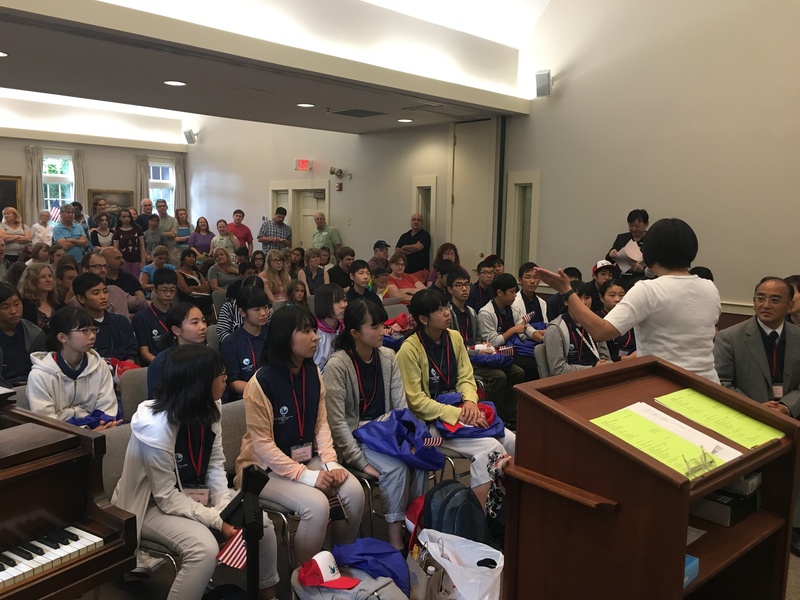 The Salem-Ota site is designed to offer the community a snapshot of the Sister-City programs and cultural exchange opportunities that are available to students and adults. Whether you want to learn more about our travel programs, what happens on homestay visits, or if you want to catch up on our fundraising activities and programs, we hope that this site fulfills your needs. Present students and their parents, as well as alumni visitors and friends should access the Salem-Ota Cultural Exchange page to stay current with events and activities. To gain information regarding the Sister-City agreement, our Mission, or other background information please visit the About Us page. For schedules and information during homestay weeks, please see the Adult Visit or Student Visit pages. To catch-up with on-going monthly meetings, the opportunities to donate or participate in fundraisers, or to view photo’s of past events, please explore the Events tab and Photo Gallery. We hope that you will find everything you need. Thank you for showing an interest in supporting an ongoing relationship with the wonderful people of Ota-Ku, Tokyo.